Caption slip reads: "Photographer:Olmo. Date: 1960-11-15. Reporter: Boynoff. Assignment: Blind Man. 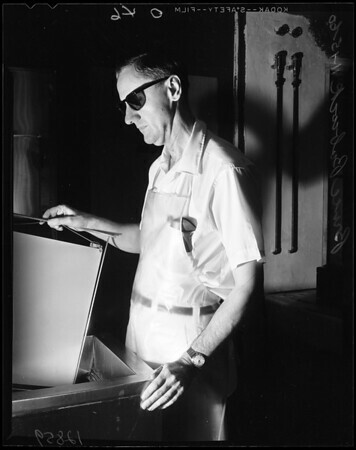 45-46,48,49: Bruce Babcock, in dark room of X-ray lab at Cedars of Lebanon Hosp. Negs to Irwin Baker".